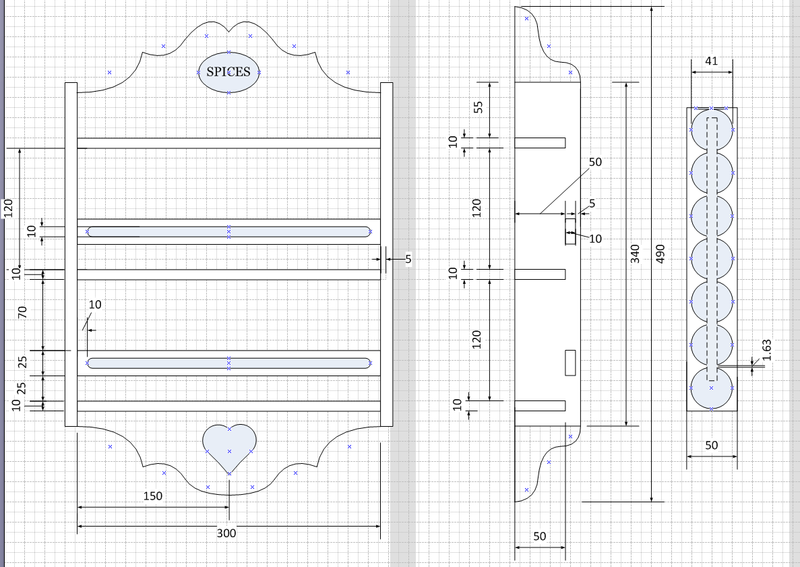 This spice rack was my first CAD design for a CNC router build. The plans and effect were quite solid and people still remark on the unit, so I will share the design. I originally designed this as a two shelf unit, but trivially built it as a three shelf unit. The indents in the shelf place McCormick brand spices (Australian jar) at a pleasing interval, and seat them snugly. 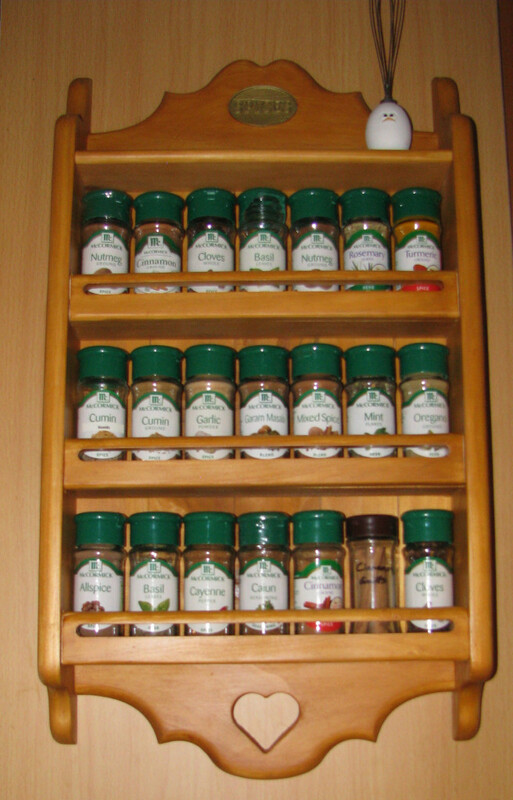 The rail is at the right height to keep the label viable and support the jar, without making removal difficult. Machining was done on the artifactory‘s CNC-router. NB: I could not quite let go of my old school woodworking tendencies, so I made all tabs fit the slots exactly… This meant that after the router made its cut, the wood would expand a little and not fit in the slot. This is just what I wanted, preferring a bit of sanding at the end, so all would fit very snug. Nowadays I would wind back the slots 0.3 of a millimetre and let the glue do the rest. The spices escutcheons I ended up 3d – printing and painting. Nowadays there are plenty of 3d printing services should could offer a much better finish. 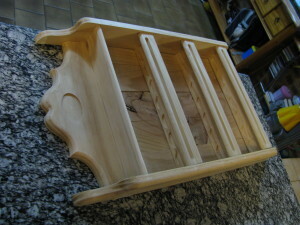 The stain I used was Wattyl Wood Gel – Honey Oak. I like how easy and fool proof these stains are. The results not bad either.